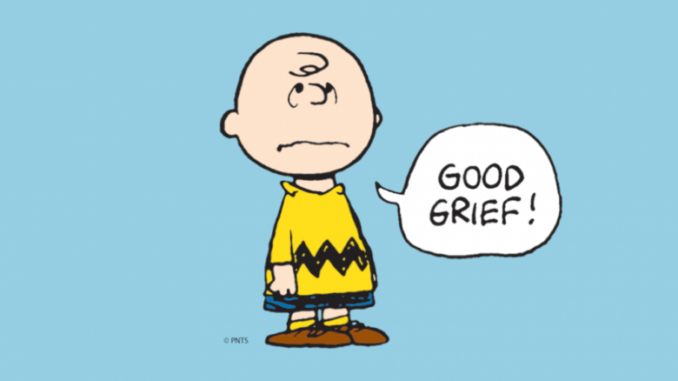 Featured Image of Charlie Brown, shortly after being invited to come running up and kick a football by Charles Shultz & United Press Syndicate. The five stages; denial, anger, bargaining, depression and acceptance, are a part of the framework that makes up our learning to live with the one we lost. – Jamie Dimon, CEO JPMorgan Chase. The attitude towards cryptocurrency in mainstream finance continues to range from confusion to disdain. In fairness to Bob, he appears to be angry that he was ripped off for some bitcoin in the early days (maybe Mt. Gox? ), but it doesn’t make him less divorced from this important, emerging part of finance. Bank robberies have been part of banking since forever, and still are. It stands to reason that early vaults are going to be full of holes, but Michele appears to misunderstand or ignore the fundamentals here. He thinks that someone tricked him into putting his money into a security that they could take back at any time… and he’s kind of right, but only by accident. Ultimately, it was his failure to secure the asset that got it stolen, not the fundamentals of the way it is transacted. At the heart of it, it sounds like he wants these bloody crypto kids to get the hell off of his nice, manicured banking lawn already. But despite their conviction, JPMorgan and Wall Street don’t own the lawn. 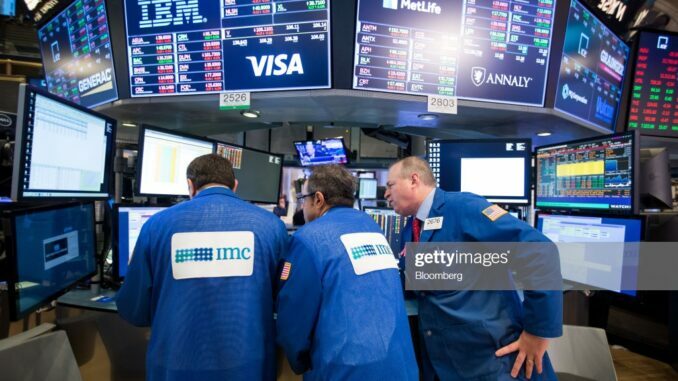 And while Wall St. may functionally control the markets, the more in-touch entities no doubt realize that there is no actual deed, and that their control exists through right of possession. Barclay’s and Blackrock, among others, have been making investments in fintech and blockchain for a few years now. This was probably partly for optics. For now, nobody in Big Finance has a public crypto strategy. Naturally, some are falling all over each other to be the first to make traditional derivatives out of cryptocurrencies by putting them in ETFs, basically as a reflex, the same way a reptile’s brain engages its kill instinct when it’s hungry, but we’re light on meaningful participation in this innovative frontier by Big Finance, and I’ve got an idea about why. Financial institutions maintain their positions because, together, they are all individual parts of an enormous, integral superstructure exoskeleton of sorts that shapes and protects our economy. Their part in that important and lucrative monster is maintained through barriers of entry that are largely a lot more artificial than cryptocurrencies. Charters control access to the businesses of stock exchanges, trust companies, transfer agents and all of the various other functional facilitators of high-stakes gambling for each-others’ rent money that we call “capital markets,” and allows them to collect a vig for extending us the privilege. Nobody really liked the banking crowd in the first place, and they start to look more and more obsolete with the amount of smart-contract / Ethereum knowledge that fits on the back of a cocktail napkin. They don’t misunderstand the blockchain the way Bob Michele does, they understand it better than most. To them, it’s an existential threat in the process of becoming an actual threat. So they create a culture that encourages their people to lash out. It’s a fraud! It’s a bubble! In the broadest of terms they’re right. But to take them seriously is to admit that any traditional currency or mortgage bond, share certificate or t-bill is equally fraudulent, and that fraud is hardly un-done by their right to collect a fee to let people trade it. The appeal of cryptocurrency is its decentralization. Blockchains don’t need superstructures because they trade on networks of distributed nodes. That network can’t crash, because it’s built like a beehive. Cells go up and down, contribute to the collective computing power and are paid for their contribution by the transactors as a natural course of operation. There is no chairman, no trusts or crony-controlled access schemes. The network works on computing power, and anyone who can contribute enough computing power to push hashes and make the transactions happen gets paid for it. There was a time when this could be done on a laptop, in fact if you go back a decade, folks were installing screensavers on laptops that used distributed computing to fold DNA proteins in an effort to cure cancer, in much the same way Bitcoin is being processed now. But that time of simplicity has passed for most of the larger cryptocurrencies. Mining is a commercial enterprise at this point that uses large amounts of energy to operate, and it’s up to the miners to put together the hardware and software that does the most calculations per millisecond in a configuration that is flexible enough to be used for multiple currencies with different hashes, in areas with cheap power, in order to be in a position to collect the equivalent of the fees that banks, brokerage houses, exchanges etc. collect in the financial system we understand today. But the miners can’t restrict access. When stocks trade on a blockchain, the miners aren’t going to be able to hoard the best IPO stock, or game the LIBOR rates or any of the other back-room crap that has turned the global economy into essentially an oligarchy. That doesn’t mean it won’t still happen, but Wall Street hasn’t figured out how to do it yet, and it sounds like a hassle. It would be better if everyone just decided this was a fraud and went away. At Equity.Guru, we’re long HIVE Blockchain Technologies (HIVE.V). It’s a company that was put together by Toronto mining magnate Frank Holmes, who no-doubt understands the fundamentals involved in this potential shift. The new company has bought a currency mining operation in Iceland, and taken care to make sure that they have the flexibility to be able to keep their operation at capacity. Other companies are looming, and will be public in the weeks ahead. Some that are already public are swinging their ships around towards the blockchain – see Calyx Bio-Ventures (CYX.V) and Ydreams (YD.V) as recent examples. It’s difficult to value a crypto-mining operation. Questions remain about how much currency risk they’re going to be exposed to (after all, Bitcoin has a habit of spiking hard and getting crushed shortly thereafter), what the capacity of this operation is in terms of hashes, and if they’re going to be able to scale it if the shift happens quick enough to knock JPMorgan down a peg or two. I’m not usually one to make predictions, but this one is too good to pass up. 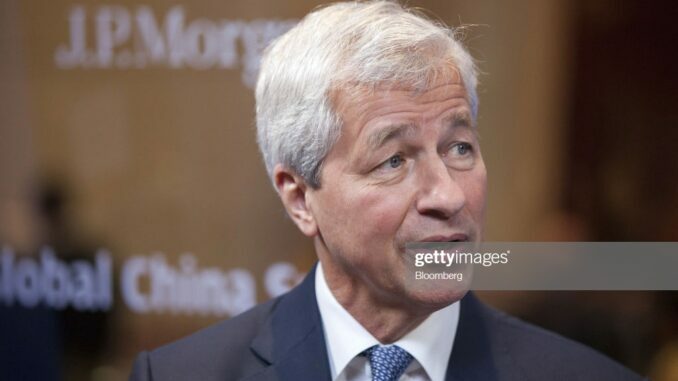 Dimon’s fiery comments knocked the crypto market down a bit. He would have no doubt preferred that they started a slide, but no such luck. The recovery will come, and the noise out of Wall Street will get louder as they try to keep a lid on blockchain finance. As these instruments grow in number and utility, we’re going to be looking at a very different banking and finance landscape going forward. This is where it starts to happen.